This work is a scientific venture into the semantics of Kamtok, the variety of West African Pidgin English (WAPE) spoken in Cameroon. It arose from the need to carry out more linguistic studies on this linguistic variety. As a matter of fact, most research works on Kamtok have dealt with sociolinguistic issues, thus overlooking the variety’s purely linguistic aspects. This study therefore falls within cognitive semantics, building on the Idealised Cognitive Models (ICM’s) approach as developed by Lakoff (1987) and focusing on the study of specific English words found in the Kamtok translation of the Gospel according to Saint Matthew. The findings of this research endeavour demonstrate that though Kamtok words mostly originate from the English language, these words have developed new meanings, which are often the result of Kamtok speakers’ background and experiences. 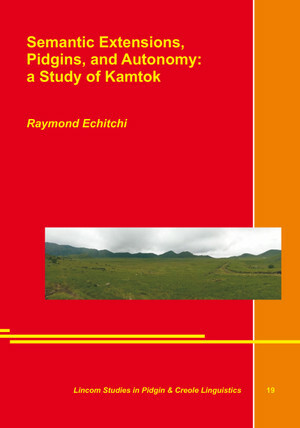 Based on this, the author argues that Kamtok should not be considered as a mere variety of English, but rather as a fully autonomous language.